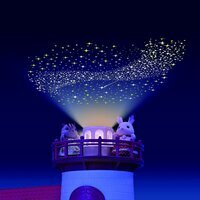 Starry Point Lighthouse is a lodge in the Seaside Area and the lighthouse really lights up and the top turns, just like the light of a real lighthouse. 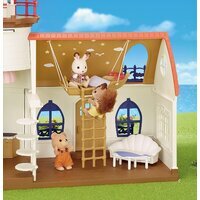 The set also includes slides and beautifully designed furniture such as a seashell sofa and a whale-shaped table. 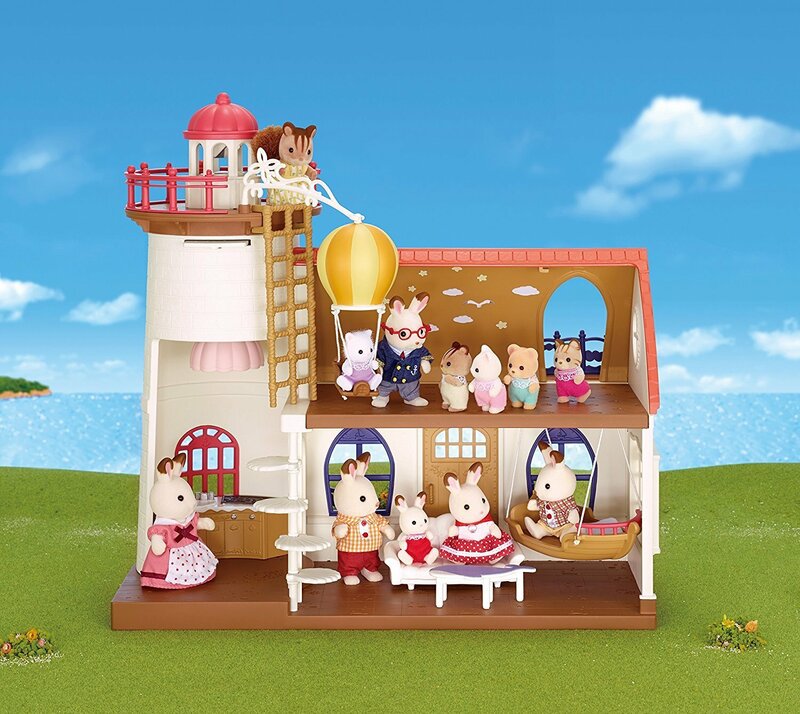 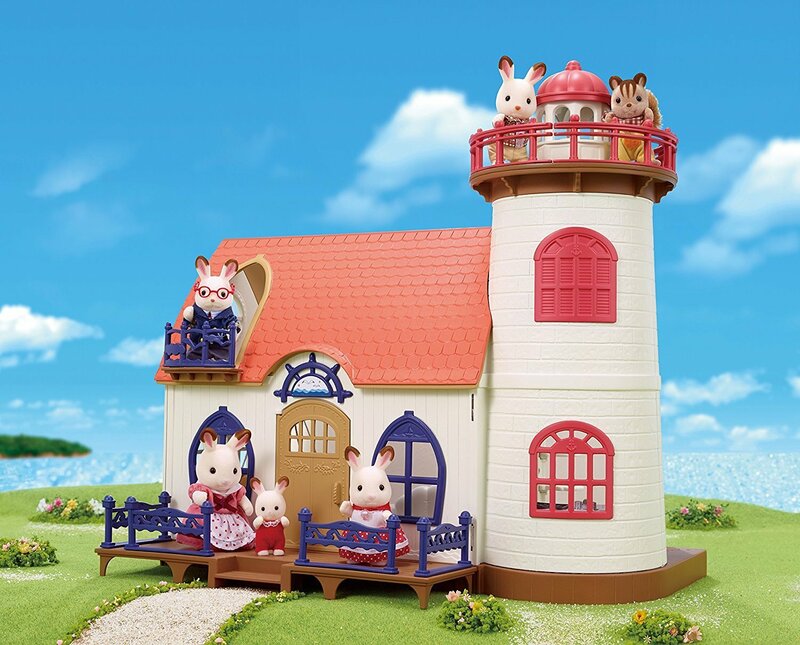 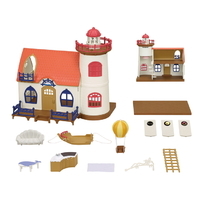 The Starry Lighthouse includes an upstairs balcony, upstairs balcony railing, projector unit, lighthouse top, lighthouse fence , wooden deck, wooden deck railing , upstairs floorboard, kitchen, sofa, table, bed, blanket, balloon, balloon arm, ladder and slide. 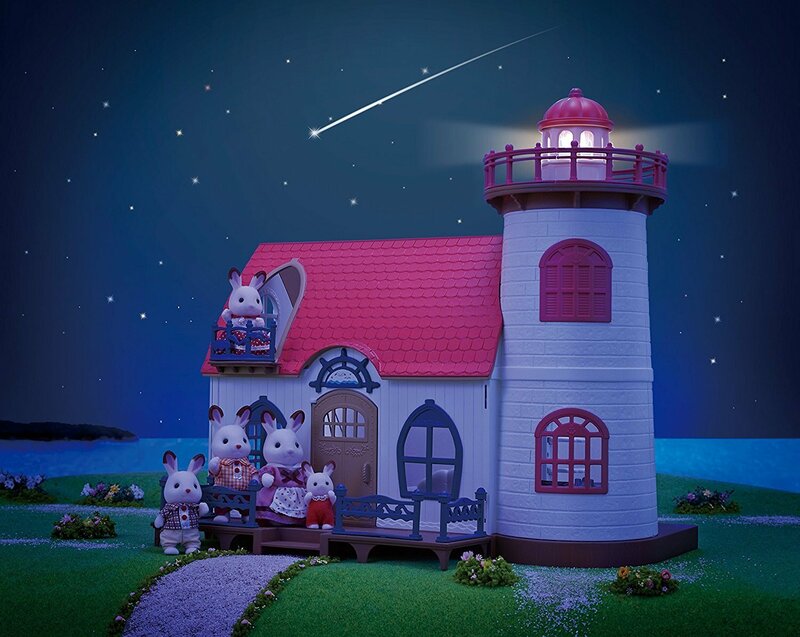 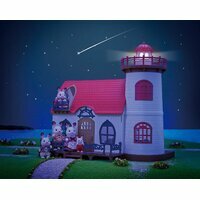 Take off the top of the lighthouse and stars will appear on the ceiling of your room. You can change between patterns by switching the slides. 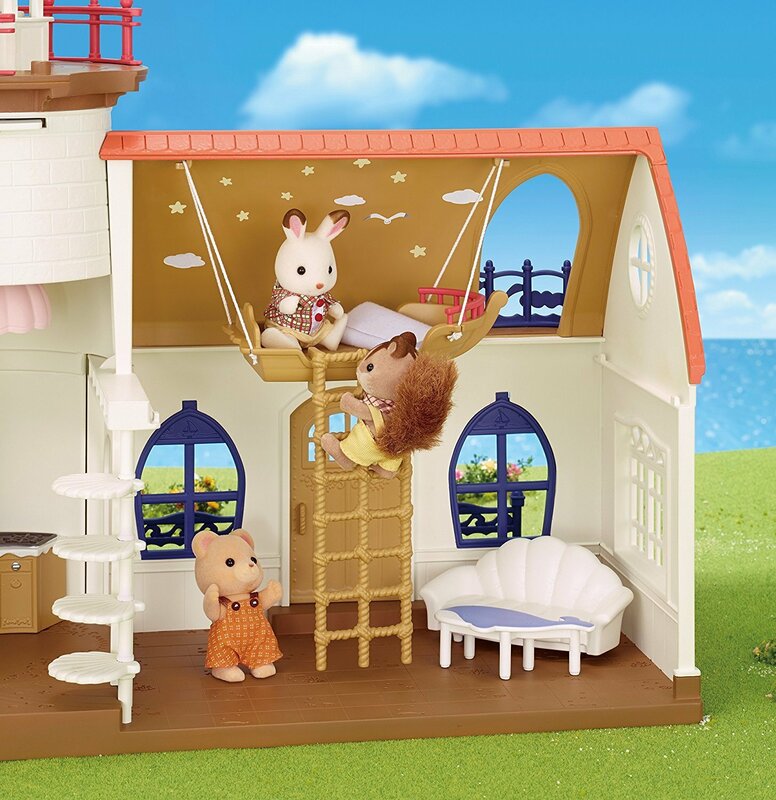 The downstairs floor is designed based on the sea and the upstairs floor is designed based on the sky. 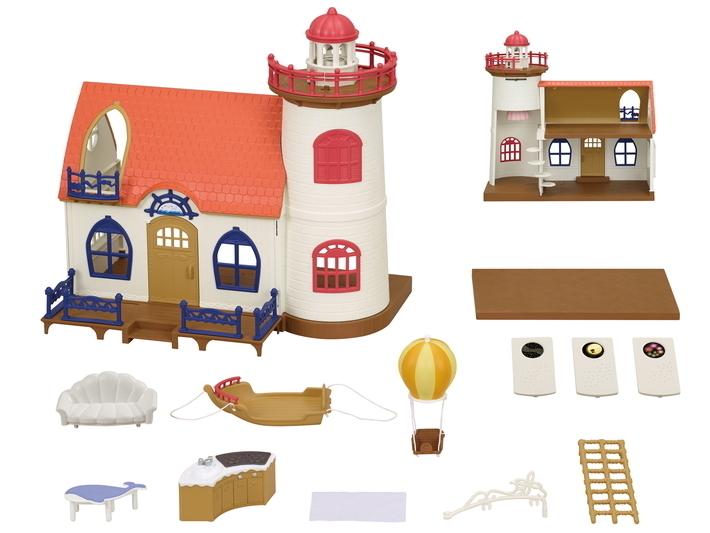 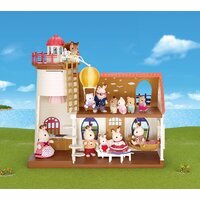 Set includes: Starry Point Lighthouse, upstairs balcony, upstairs balcony railing, projector unit, lighthouse top, lighthouse fence x 3, wooden deck, wooden deck railing x 4, upstairs floor, kitchen, sofa, table, bed, blanket, balloon, balloon arm, ladder, slide x 3 (total 25 parts). 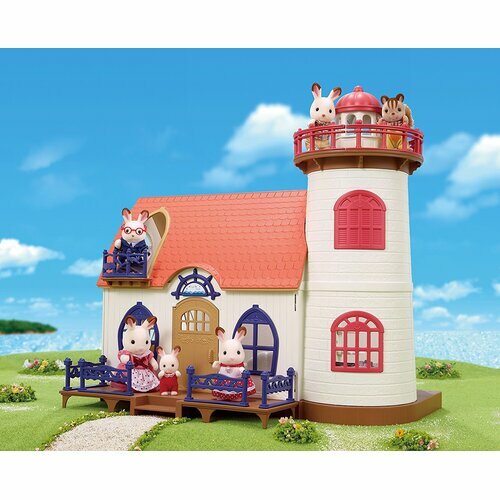 Requires 3 x AAA / LR03 not included.